A pre-treatment to optimize the whitening line’s performance, this lotion prepares the skin for later treatments, prevents melanin production, and promotes the penetration of active whitening agents. The skin is lighter, its complexion even-toned and radiant and its texture refined. B21 Whitening Lotion is a pre-treatment to optimize the whitening line’s performance, this lotion prepares the skin for later treatments, prevents melanin production, and promotes the penetration of active whitening agents. The skin is lighter, its complexion even-toned and radiant and its texture refined. – Tones the skin and tightens the pores due to its astringent action, and ensures that later treatments will be optimally effective. Apply Whitening Lotion morning and night on the face and neck after cleansing. 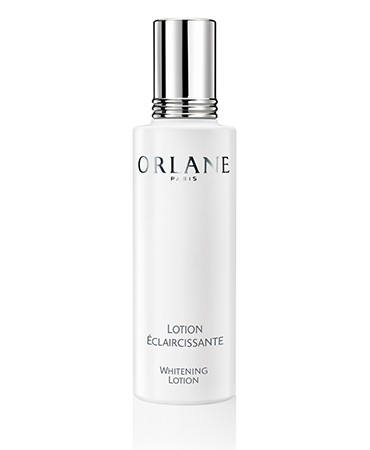 For best results, follow with Orlane’s Whitening Serum and Whitening Cream.